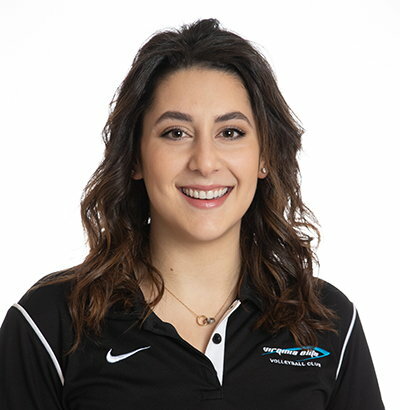 Dannah Farah begins her seventh season with Virginia Elite on the 16’s team staff after coaching nearly every age level within the club. Farah began her coaching career at McLean High School and joined Elite shortly after her first year. She received the Virginia Elite Diamond Coach Award in her inaugural season, and has continued to contribute as an assistant coach throughout her tenure, focusing primarily on defense and serve receive training. Farah brings over 12 years of experience to Virginia Elite, having played libero at the high school, club, and collegiate levels. She has also played competitive beach volleyball for over 9 years. Farah graduated from Christopher Newport University with a dual B.S. in Biology and Chemistry and an M.D. from the George Washington University School of Medicine and Health Sciences, where she is currently a research fellow.